HB Surf School's teaching staff is lead by Bill Sharp, former surfing professional and coach of the South African National Team. That's Bill showing some of his stuff in the photo at the top of this page! ​Bill has brought together a team of talented and personable surfing men and women who are dedicated to seeing that HB Surf School students have a wonderful, and safe, experience learning to ride the waves at Surf City, USA. Rudy Palmboom joined the HB Surf School in 2013. Prior to moving to Huntington Beach, Rudy surfed the WSL Pro Tour for five years. In 2007, he won the WSL/Africa Pro Circuit and then competed around the world. Growing up in South Africa, Rudy began surfing at six years old with his father the legendary Rudy Palmboom Sr. at Cave Rock Ansteys Beach, and has been stoked on surfing ever since. He has shared his love of surfing with hundreds of new surfers of all ages. For those who are riding open faced waves, Rudy is the ideal instructor to help take your surfing to the next level. 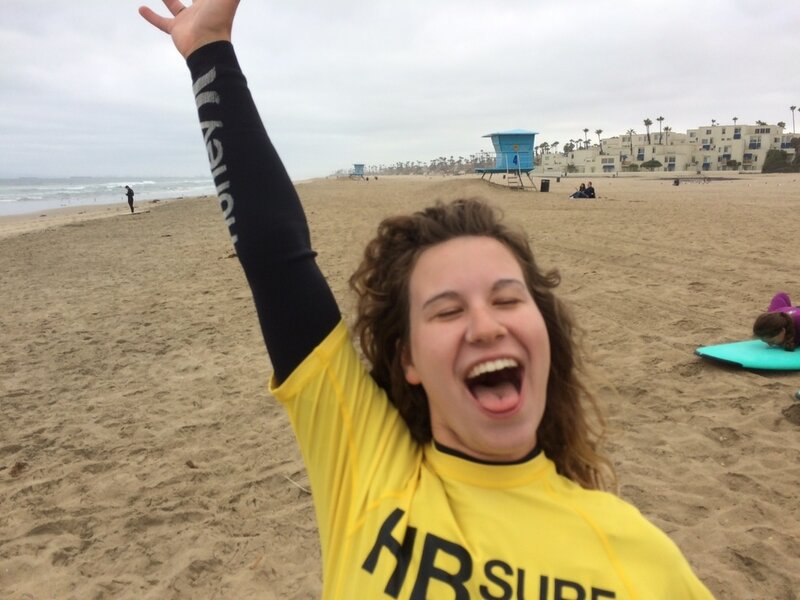 Samantha Cendro has been an instructor with the HB Surf School for the past three years. Prior to that she was one of our most successful surfing students having competed at Dwyer and Huntington Beach High School, leading the school to a national championship in 2016. When she's not teaching surfing, Sam is an aerospace engineering major at USC where she loves to spend time in the rocket lab. Tina Nguyen, or Big T as we call her, is a 4-foot-10 dynamo. A graduate of UC Santa Barbara, Big T was on the surf team there and surfed while studying abroad in South America. When she is not teaching surfing, she is finishing her Masters in sustainability in South Africa. She is fluent in Spanish and was fearlessly surfing the 15-foot waves that hit Huntington Beach in March 2016. Reagan Shaver joined the HB Surf School in 2015. She is a bundle of positive energy who loves longboarding, skateboarding and life. The kids love Reagan and she makes every lesson a wonderful experience. Reagan is a certified EMT and is continuing her education at CSU Long Beach. 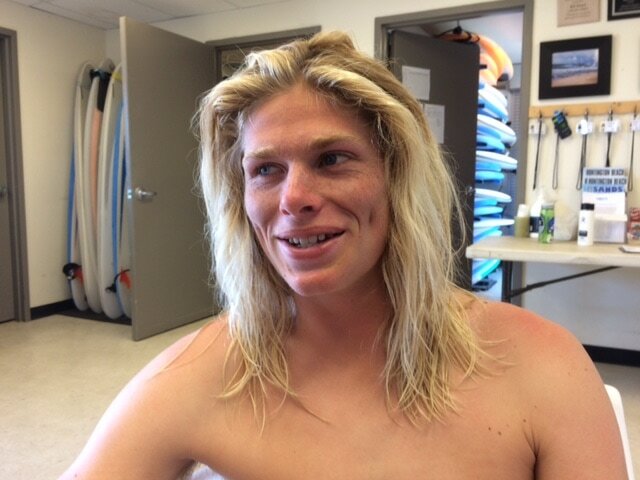 Max Seiersen is in his third year at HB Surf School. Max surfed throughout high school, leading the Huntington Beach High School surf team to a national title in 2016. He has won numerous longboard titles including the National Longboard title, and is known for his smooth style and nose riding. Max is always smiling and the kids love lessons and camps with Max. He will be starting CSU Long Beach in the fall.